Luton is home to one of the busiest airports in the country. As a result of the high number of commuters using its roads, travelling in the town is often a challenge. A great transport alternative for easy, quick going and coming is the scooter. There are a variety of reasons why you should own a scooter in Luton. This article looks at these reasons and the benefits of choosing one of ours. Why Own a Scooter in Luton? Faster in Traffic: Scooters are faster to travel on in Luton especially when there’s heavy traffic because they are very easy to manoeuvre. Parking: How many times have you had to look for parking space or pay for one before you can park your car? With a scooter, there are no such hassles. Minimum Age: While you cannot legally drive a car in Luton until you are 17, you are allowed to own and ride a scooter in Luton at 16. Fuel Economy: With a full tank of petrol, you can ride for days or weeks before there’s a need to refill the tank again. 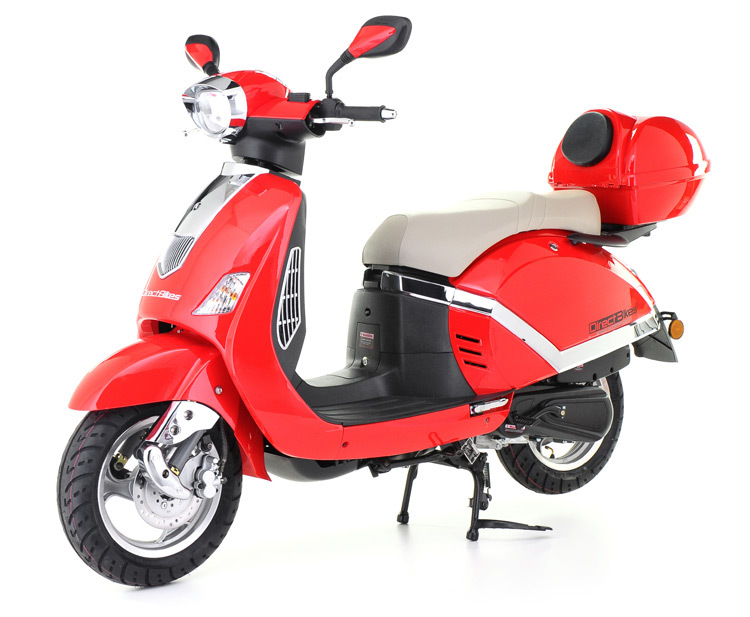 Price: Our scooters, from 125ccs to 50ccs are extremely affordable. You can get one for as low as between £999 – £1099. Our prices are lower than most dealerships in Luton because we get them directly from the manufacturer and don’t use dealers. Finance Options: We’ve made getting scooters easy for everyone. If you cannot pay at once, you can pay in instalments. Design: We have a variety of designs, from retro to sporty. So you’ll certainly find one that appeals to you. Insurance: We also help you get cheap insurance policies by comparing quotes from top insurers in the country. As earlier mentioned, we have no dealerships in Luton. However, no matter where you live in the city, we can deliver your scooter to you. All you need to do is fill in your delivery information and we’ll work out the delivery cost and the best time for delivery. Order one of our scooters in Luton now and enjoy amazing rides around the town.